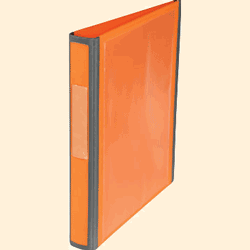 Orange 4 D ring binder, A4 supplied with one of our Large A4 Bee Hive Record Cards, a printed copy of our How to Keep Hive Records both in punched polythene pockets and an Apiary Year Planner. 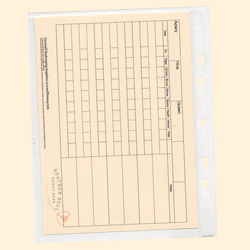 Made for all bee hive record cards and information sheets. Very sturdy construction, the soft flexible edges and spine stand up to frequent use without breaking and allow the cover to bend back on itself - very useful.